Kirsty Wertz (nee Reid): Mike turns 39. Mindless ranting and raving by the wife of a Christmas Tree Farmer. Happy Birthday to Mike. Happy Birthday to Mike. Happy Birthday to Miiii-iiiike. Happy Birthday old fart! 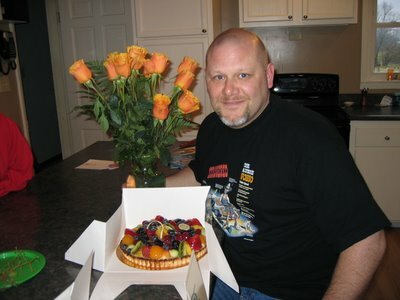 Here's Mike with his birthday 'cake', and flowers (that I actually bought for myself because they were so pretty). Malcolm: notice the shirt he's wearing?! And I didn't even prompt him! 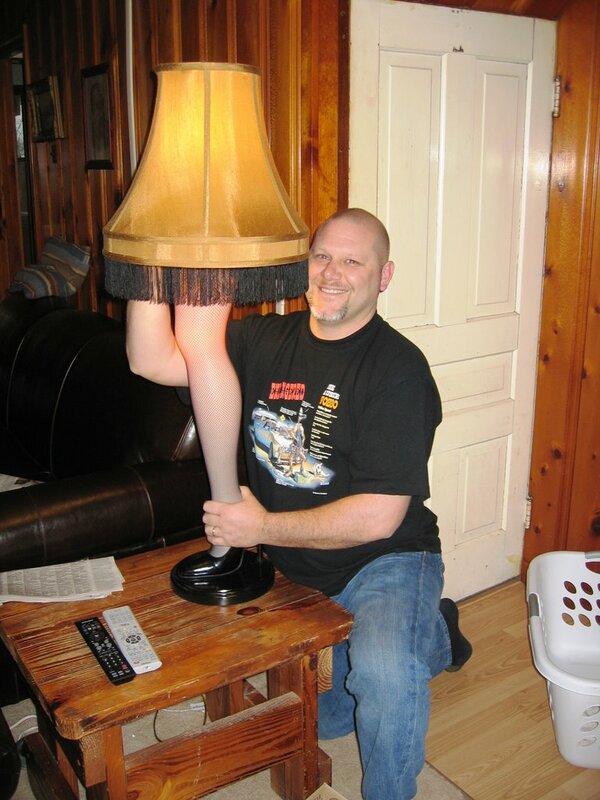 Next photo is Mike with his official, Red Rider leg lamp from the movie A Christmas Story. But hey, if the shoe fits... no pun intended! 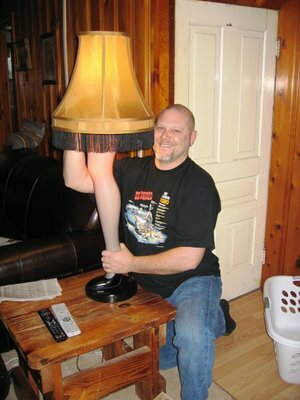 Great - now Ray wants one!!! Cut-your-own trees and hand-made wreaths.